B.L.A.D – a must have for artzine lovers and everybody which still want to become it. We have almost all issues in Das Kunstbuch collection. unfortunately the special edition no. 20 – the pizzabox – was completely sold out. What is B.L.A.D.? Literally “blad” is the Norwegian word for “leaf”, and a “leaf” is a magazine, therefore B.L.A.D. 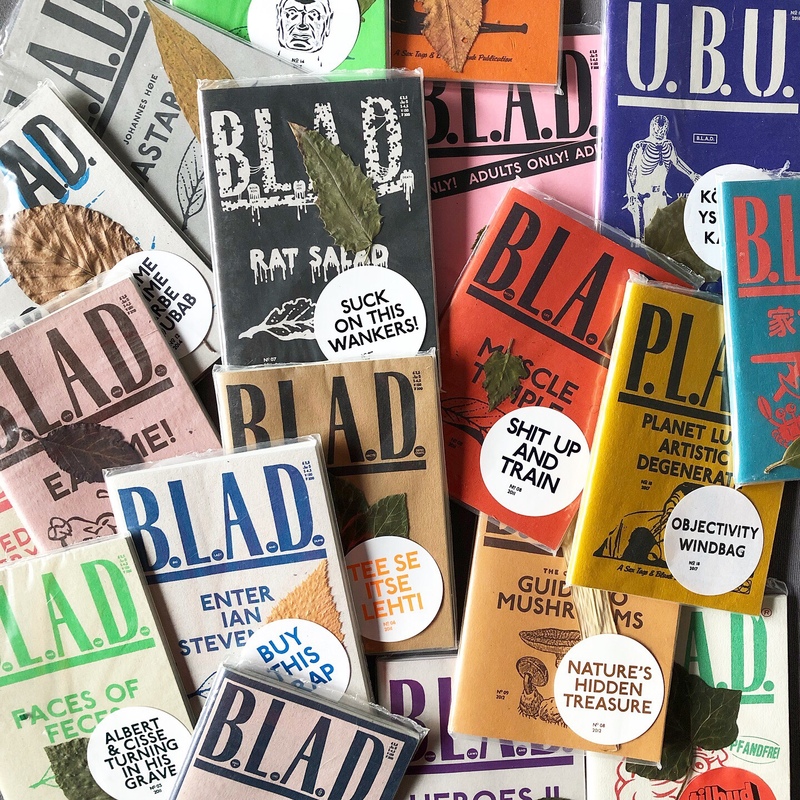 must be a magazine, with a “blad” on the cover, a “blad” inside the packaging, and across its many internal “blads” there have been featured a wide range of illustrators and topics, and once even nothing at all. The concept is simple; provide an artist or a topic with a surface that fits in your pocket, lovingly offset-printed in a secret basement and spread it around to anyone who would like to have a look inside.